Cloud computing, you must have a lot about this one in the buzz…It is one of the latest trends today. 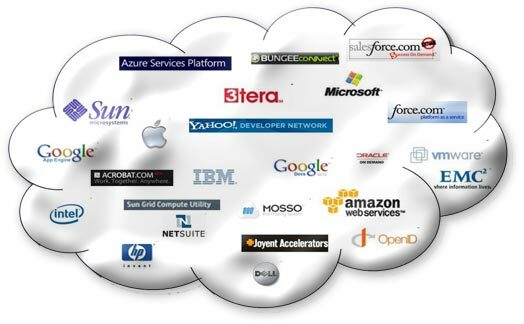 Irrespective of the person, company or business cloud computing is on its way to spreading like a wildfire. Although Cloud computing provides you with many advantages, it does need to be having the best security so that you don’t lose your data and have support in terms of need…All these requirements are to be kept in mind whilst choosing a cloud computing service for your needs. One of the most important factors in the whole wide world around is support…yeah the same support which comes up to you and helps you when you have a problem. Quite similar to the customer care you would be having for your mobile service provide. You ought to make sure that cloud computing you are choosing does have a good support functionality which is always there to help you in terms of need. Note: For support ratings it would be advisory to have a look at the reviews of the provider first. This doesn’t mean that you can’t trust a newbie or something but that the gurus in the business will mostly be providing better service. Having a couple of experience on the resume of the company can definitely help you gain trust in the organization. This move of choosing amongst the experienced one’s should be made carefully. Personally, I prefer to go with the one with most reputation and clients and experience…in the same order. Cloud computing services aren’t very expensive but do need to be chosen properly so that you don’t let the providers charge your pocket for something you don’t use. Cloud computing can provide us with many services which we can use, but we must keep in mind and opt for only those that we need because choosing an extra service is sure to have an extra cost with it. Whilst choosing the most suitable service provider, price should be the last priority so that don’t end up buying a cheap and unreliable service. While you are buying a cloud service from one of the providers you must make sure that they accept a standard service level agreement (SLA), if they don’t try and arrange such an agreement with them. While mentioned at the end, this should be amongst the first few points to be considered in while choosing a service. You must ensure that your provider follows a good mechanism to handle you data on the cloud. Also, that the provider has a platform well equipped to handle privacy and not be showing off all your data to the public. Note: Ensure that your provider has a reference to the ISO standard security and complies with the CSA.